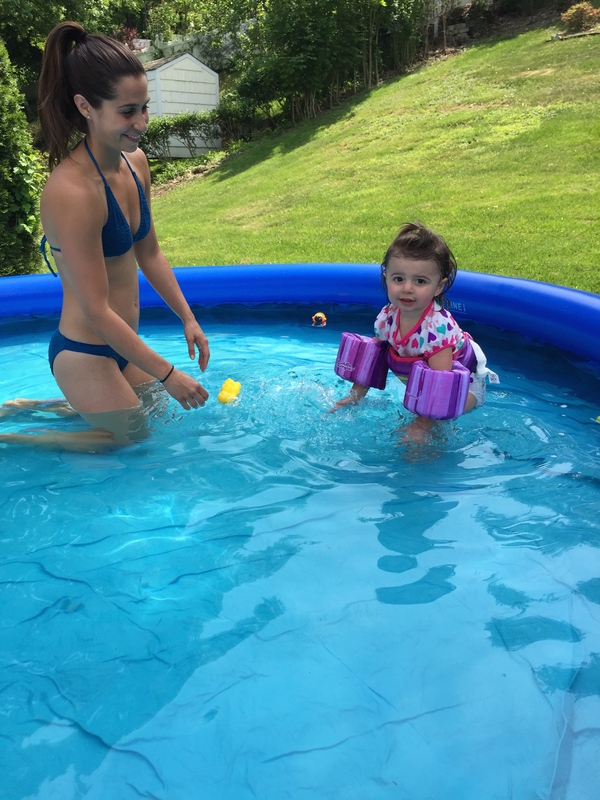 I think you all may know me by now and this time of year you can find me at the beach or swimming in a pool when I’m not working! 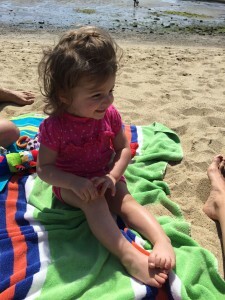 I now have a toddler who is following in my footsteps and if you say the word “beach” or “pool” she starts running towards the door to get outside. Growing up my mom would pack a big cooler full of drinks, snacks & lunch and we would stay at the beach from the morning until late afternoon. 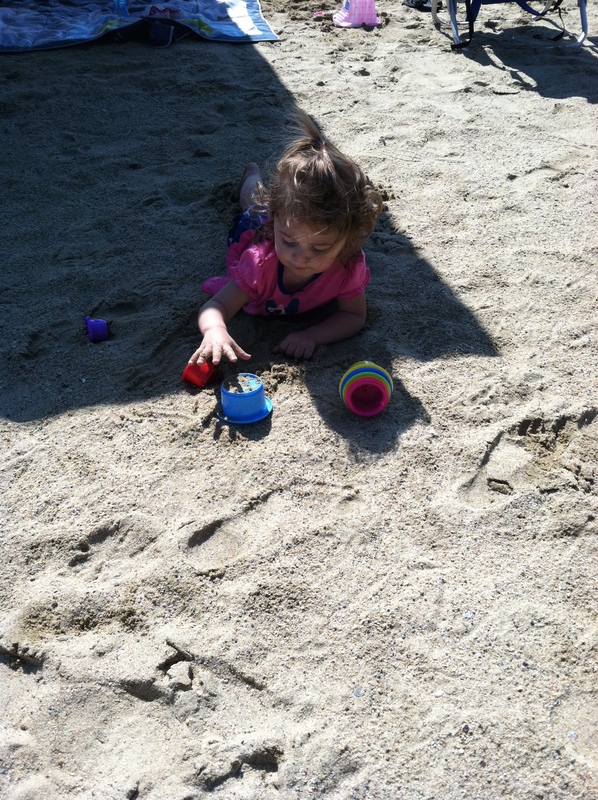 We couldn’t get enough and that was basically how we spent our summer days! After years and years of being in the sun, I know the importance of protecting my skin and I want my daughter to protect hers from sun damage too. I’m always cautious of anything I put on my face whether its sunscreen or lotion because I have super sensitive skin. Most of you probably know the sunscreen company Banana Boat, and unfortunately I can’t use those products because I break out in a rash. I was approached by Block Island Organics to try out their Natural Mineral Sunscreen SPF 30 and of course I was excited to try their sunscreen. I have used so many different brands of sunscreen before that I haven’t liked. Some were thick and hard to spread, others that didn’t gave me rashes, and some that made me look like a ghost. I first tested the sunscreen on myself when we were going to the pool at my parents. I applied the sunscreen about 15-20 minutes before we were leaving. I loved that it was lightweight, it spread well, and absorbed quickly! 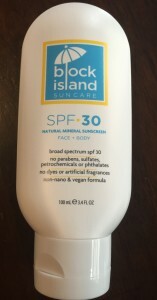 An ultra lightweight, non-nano and instantly absorbing natural mineral sunscreen great for sensitive skin. Made with organic and natural ingredients. 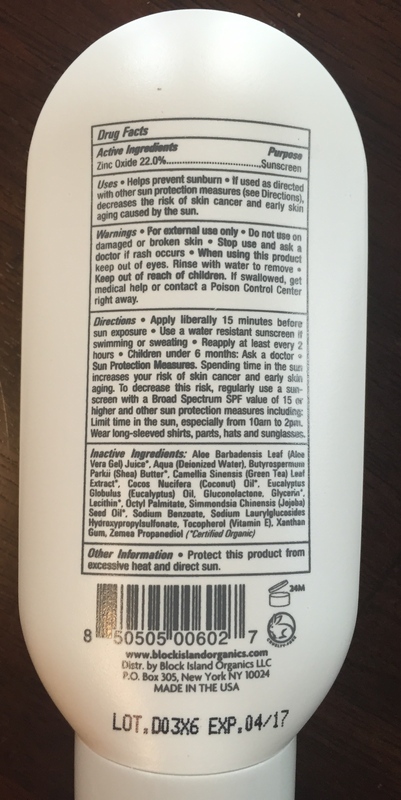 Provides broad spectrum UVA/UVB protection to prevent sun damage and premature skin aging. A small amount goes a long way. NO PARABENS, SULFATES, PETROCHEMICALS, PHTHALATES, DYES OR ARTIFICIAL FRAGRANCES. VEGAN FORMULA. GLUTEN FREE. NO ANIMAL TESTING. MADE IN USA. 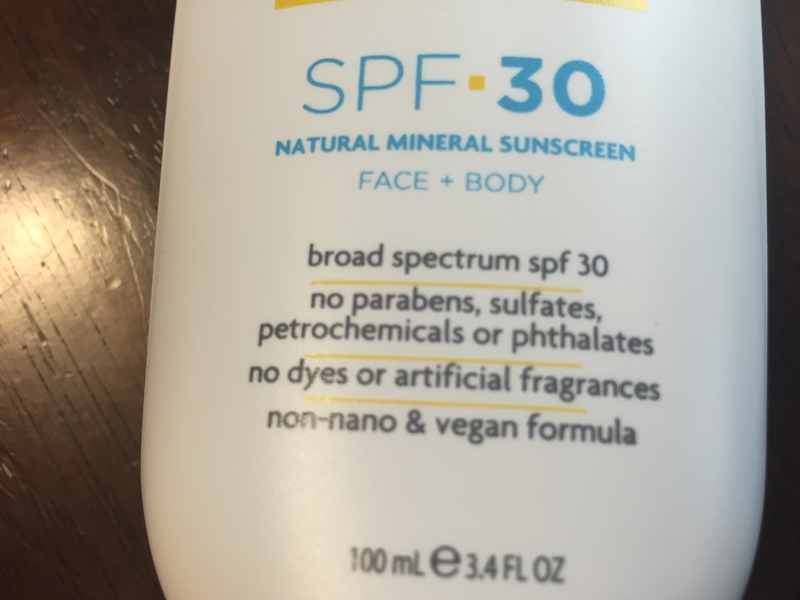 After using the product for a weekend outside with a lot of sun exposure I felt relieved to know that I was using a natural product to keep my skin from sun damage. 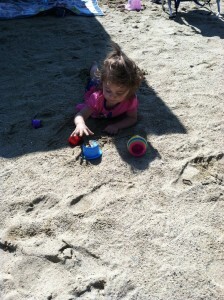 The fact that it was also safe for Ava to use was even better! 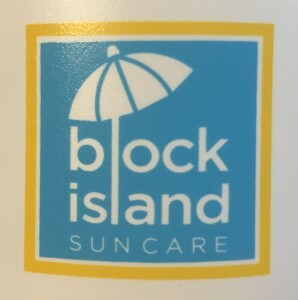 I would highly recommend Block Island Organics Sunscreen for any family looking to naturally protect their skin from sun damage! Block Island Organics sells their products directly through their website: BLOCK ISLAND ORGANICS They are offering 20% through Monday for Father’s Day weekend! Note: I received this product at no charge for the purpose of review. My review was not influenced in any way by Block Island Organics, nor do I receive any proceeds from sales or affiliate referrals. The views expressed in this post are entirely my own.